When you’re in the market for a window replacement contractor Chicago, why check the websites of any potential companies you might hire? It’s recommended that you look elsewhere online for reviews and testimonials, and of course a website doesn’t always tell you everything you need to know about a potential company. However, they can be invaluable tools when it comes to making your decisions about the contractor you hire. Consider a few simple points about checking the website of any potential window replacement contractor Chicago, what you can learn from their site, and why the site is important in your decision making process. 1. A good website may reflect their success in the industry. When a company is successful and gets lots of repeat business, they are then able to take their profits and build their client base through marketing tools like websites. If they aren’t very successful they won’t have the means to do this. A good website may reflect their success in the industry and this is a good sign! Look for a site that seems professionally built and composed, with elements that are easy to read and pages that are easy to navigate. A site that looks like it was put together by an amateur is not a good reflection of the success of a company. 2. Before-and-after pictures can be very useful to potential customers. Along with testimonials, a good website from a window replacement contractor Chicago will include before-and-after photos of their work. These pictures can help you to see the quality they offer and can also demonstrate how different types of windows can improve the look of your home or business. You may not have thought about bay windows in your living room but those photos can show how they open up a space. Larger windows can also improve a home’s overall value. 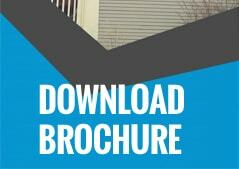 These types of pictures should be found easily on a website of any window contractor or company. 3. You need to get questions answered. Are they licensed and insured? Do they travel to your local area? Do they offer free estimates and inspections? Do they offer other services such as remodeling or deck installation? A good website can answer all these questions for you before you even pick up the phone. This is another reason to check out the site of any potential contractor before you make a decision. Contact us today to request a free estimate or to ask us any questions you may have. 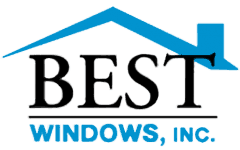 You may call us at (708) 204-2446, or visit https://bestwindows.net/ for more information about window replacement contractor Chicago.